Drawing blood is only responsibility for hospital nurses, but a very important one, so knowing the proper procedure is up to you to master. You can only become efficient at taking blood samples by practicing, but you should also know all of the phlebotomy methods for extracting blood cultures. 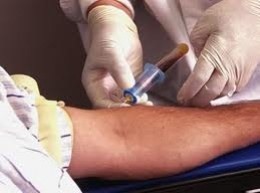 This interactive video module will help familiarize you with the phlebotomy medical procedures (three different versions), but is not meant to be your sole method of instruction— always ask for supervision in performing a procedure if you've never done one before, or have little experience. You will learn three different phlebotomy techniques: butterfly needle and Vacutainer, straight needle and Vacutainer, and butterfly needle and syringe. Each method is presented, going through assembling the equipment, identifying potential veins for access (antecubital vein, cephalic vein of the forearm, and the bifurcation of veins on the dorsal aspect of the hand), applying the tourniquet, daring the blood by inserting the needle, using the vacutainer and syringe properly, and the clean up process. Video recording and narration is performed by Edward H. Wu, M.D. This video is from the University of Pittsburgh's CIDDE. What is, the most used, and best method to draw blood? Anyone.